The Woodstock Summer Concerts are FREE. No tickets needed! Lawn chairs, beach chairs, bag chairs and blankets without plastic backing are allowed. Parking, Trolley and Shuttle Maps HERE! Enjoy a free ride around Downtown Woodstock courtesy of the Woodstock Trolley! The route is approximately 30 minutes. Visit www.woodstocktrolley.com for destinations and stops. The schedule and stops are subject to change at any time, so please check the website for details. Download the Woodstock Trolley App for up to the minute trolley notifications. During Special Events, the Trolley may have extended hours, check website or app for details. 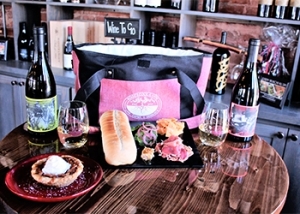 The “Rootstock Cooler” is the perfect pairing for the Woodstock Summer Concert Series or any outing! From the City of Woodstock, and the Woodstock Parks and Recreation Department, we would like to thank all of our Woodstock Summer Concert Series sponsors! 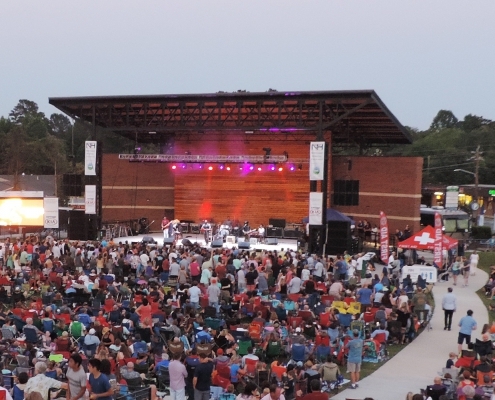 Because of your partnership, we welcomed over 50,000 people to downtown Woodstock and the Woodstock Summer Concert Series last year.